You probably have become so accustomed to using key fobs that you don’t even think twice. This little electronic device makes it convenient for you to remotely unlock, lock, arm or disarm an alarm system, or perform other necessary functions with the touch of a button. As amazing and convenient as it is, if something goes wrong with them, understanding the way they work can be confusing. Don’t let these advancements in technology confuse or baffle you. Though the methods have upgraded over time, the basics are the same – a key still opens a lock. What is a Key Fob and How does it work? These electronic key fobs simply make it possible to operate the lock and key without inserting an actual key into a keyhole to turn. The idea has been very effective in helping to prevent vehicle theft. Like most other things in our world, keys are progressing along keeping pace with technology. These key fobs contain a transmitter that allows it to electronically communicate a signal to a receiving unit that is programmed to respond to the transmission. The words, transmitter, and responder are often combined to create the term, transponder key or transponder key fob. Some have the actual key attached to the key fob, others have a metal key hidden inside, while some contain no actual physical key at all. It is all electronic. Regardless of the style, in order for the transponder key fob to work properly, it must first be programmed to sync with a specific vehicle. The key fobs usually operate on a battery that won’t last forever. Eventually, it will need to be replaced. You can do this yourself if you know what you’re doing. However, if you don’t want to risk it not working after a battery replacement, it never hurts to call for help to get this done properly. While they function as a remote control unit, if you lose the key fob, you have lost the ability to send signals to the receiver. If you have lost your key fob, or it has been stolen, or you have it in hand but it is not working properly, you will need to get a replacement key fob. 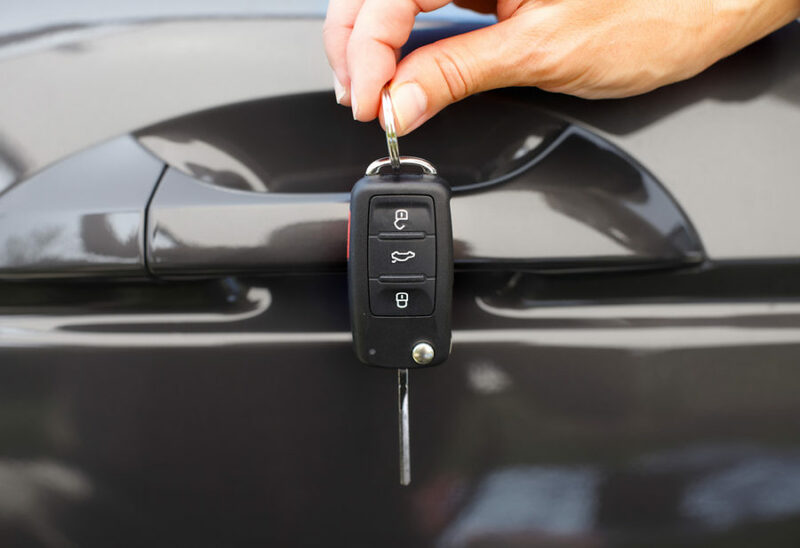 In order to program, sync, and replace the key fob, you will need to know the make, model, and year of your vehicle and be prepared to show proof of ownership before a locksmith technician will be able to help get you set up with the reprogramming. Losing car keys happens every day to someone, and it’s a fairly routine step to call a locksmith to get you back into your vehicle and cut a new set of keys. But, what happens if you lose your key fob or if it is stolen? This is more than a key that can be duplicated. To get you back on the road again, you will need to have your electronic key fob properly programmed and synced with your specific vehicle. The price for reprogramming a key fob remote is going to be entirely dependent upon the make, model, and year of your vehicle. What If My Duplicate Key Doesn’t Work? Before a transponder key fob will work, it will need to be programmed to your individual and specific vehicle. If this process is done professionally by a locksmith or car dealer, they will ensure the key fob is synced properly with your vehicle before you use it. Find a qualified locksmith to help with your replacement key fob needs by calling a locksmith who handles automotive needs. If you currently have or have had a remote for your car, it has a keyless entry system. If you bought the vehicle without the remote key fob, a car dealership will be able to verify if it has a keyless entry system available based upon the Vehicle Identification Number VIN. Do I Have The Correct Remote Key Fob? If you have lost your key fob or your vehicle did not come with one and want to make sure it is the proper key fob remote that belongs to your vehicle, match the part number on the back of the remote and the functions on the front. If you have lost your key fob, your car dealership can provide you with a part number based on that VIN. Should I buy An Original Manufacture Key Fob Or An Aftermarket? You may be tempted to save money and buy a replacement key fob that you can program yourself. If you are savvy with technology, this could work for you. But, if something goes wrong, you will end up spending more money, time, and frustration. Your transponder key or electronic key fob originally came from the car manufacturer and was programmed specifically for that make and model of vehicle. You can buy a replacement key fob to be programmed, but be wary of purchasing an aftermarket key fob online, because they easily break during shipment and sometimes they can't be programmed. Like any working battery, the battery inside the electronic key fob does wear out, but it is not always the malfunctioning part. The remote portion inside can go bad or become damaged as well. If this is the case, you will need to replace the entire key fob remote. Most replacements come with at least a 90-day warranty, but be sure to ask before you buy it to make sure especially if you purchase it online since electronics can be faulty or break during shipping. When you need a replacement key fob, immediately contact one of our professional technicians who is knowledgeable of and works with key fob reprogramming often. These technicians are so familiar with electronic key fobs that they can get you set up in a lot less time than it would take to make an appointment and wait at your car dealership for the same service.